Futurekids Student Curriculum will enable students to become proficient in the latest software technology for better learning. Please browse through our current curriculum offerings. 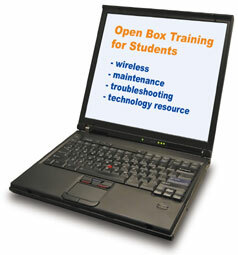 Open Box Training offers a customized handbook for both Students and Teachers. Handbook and courses are customized towards customer needs.